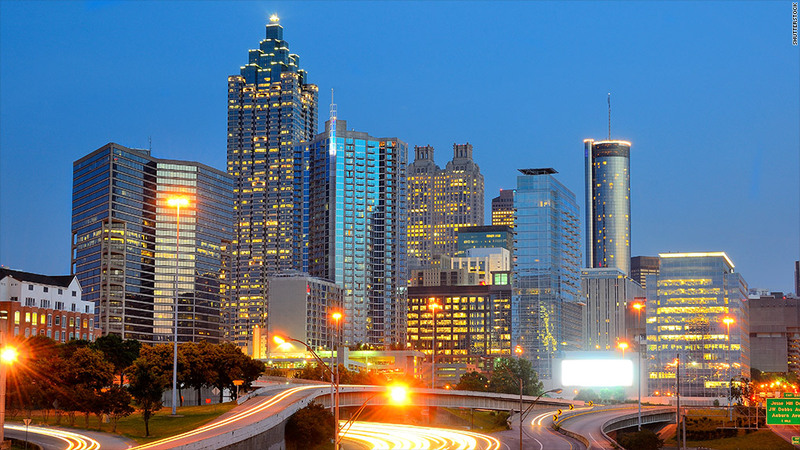 Even though it was hit hard by the recession, Atlanta has claimed the top spot on Penske's list for four years running. Home to Coca-Cola, Home Depot and roughly a dozen other Fortune 500 companies, the city offers a range of job opportunities. And the cost of living is pretty cheap -- less than half the cost of Manhattan -- with much warmer weather (well... except for this winter). Penske compiled the list by tallying the number of consumer truck rental reservations for one-way moves that were made online and through its call centers last year.